How many of us begin each year by creating a yearly resolutions list? How many of us then not complete all of those resolutions? And lastly, how many have given up creating any kind of resolutions as we all know, time will get away from us and who can really remember what they vowed to do back on January 1? The above is why I am glad I stumbled upon an article written by J.T. O’Donnell on the 10 Things To Do Every Workday. Once something becomes a routine, it’s hard to get out of that routine. And if you do, you actually feel bad about it and make sure to get back on the horse. So what are these 10 things that J.T. resolves to do each and every day? Well, they are simple, completely manageable and keep you on top of your game. Who wouldn’t want that? Read one article in Spanish to keep up my knowledge of the language. Go through my to do list and ensure that at least two things have been checked off each and every day. Too often we get bogged down in emails and phone calls and then at the end of the day feel like nothing has been accomplished. Do one or two personal things that you can only do during business hours. This might make you feel like you have a better work/life balance. Get up from my desk! If it’s possible, instead of emailing, call the person you are trying to get in touch with and move the needle along on a project via the phone. What are the 10 things you’ll try and accomplish in your workday? You may not get to all of them, as J.T. states, but as I mentioned above, if you get at least a few checked off, you’ll feel much better about yourself by the time you go home. Thanks for the great article J.T. and getting us to think a bit more outside the box. RueLaLa is selling men’s and women’s t’s for $20 that will help those that are and have been treated at Massachusetts General Hospital. CitySports is promoting the BOSTRONG One Fund. The One Fund was established to help the affected families. Lastly, but most importantly, donate to Jeff Bauman’s fund. He is the one who help authorities identify these people! In light of the current events that happened in Boston I’d like to begin this post by guiding you all to a link that lists all the ways that you can help in this time of need. I’d like to follow-up with my own thoughts on the city that I love. Back in January of 1999 my family and I moved to this city from Burlingame, CA. Flying in to Logan airport, coming from Northern California, in the middle of my sophomore year of high school, in January…well, I will leave it to you what I was thinking but I’ll just say I was not too thrilled about this next chapter in our lives. I was leaving my friends, California, and had to begin all over again. I was in hate with this town. I couldn’t wait to head back west for college but instead ended up going to Northeastern University and that’s when my love for the city began. Although I lived at home I would commute in to town every morning, I began to make life long friends and the city became mine. I knew its nooks and crannies, I never felt unsafe and I couldn’t ever imagine leaving. My family eventually ended up moving back west again and much to my mother’s pleas for me and my husband to move out west I couldn’t imagine leaving this wonderful part of the country. People usually take the place they live in for granted, until they have to leave or something drastic happens. Following the tragic events that happened on the 15th of April of this year I care for this city even more. I cannot believe that something like this happened in our backyard but in light of all of that I cannot wait to come back to the city and show our soon to be born son everything that I love about this place…the parks, the river, the streets and cafes and the people who make it unique. I know that these sentiments have been felt and said far too many times in the recent past but, think of the people who were hurt and lost loved ones and most importantly never forget this day. Not only because of the devastation but also because of how this city and the people pulled together during these horrific events. 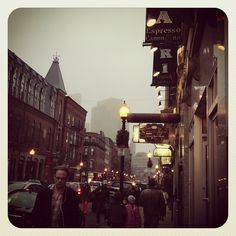 I leave you with a few of my own pictures of Boston. I would love to hear your stories about the city you love. What did you do today? Did you hug a loved one? Did you try to show your pride of Boston and head out to the city? P.S. 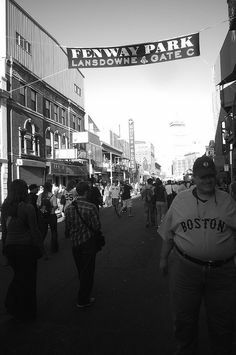 You can see more of my photos of Boston on my newly created Pinterest board, or see all my photos on flickr by clicking on my feed on the right of this page or HERE. What did you do today? Did you go shopping? Go Red Sox! Red Sox home opener is at 2:05pm against the Orioles today. Can’t wait to go to our first game of the season on Thursday! Get the latest news on the Red Sox official site. I got an email from Small Business America a little while back talking about the 5 components of a marketing plan that will help more customers find you. 1. Establish Your Brand: Distinguish yourself from your competitors and build a strong brand that attracts prospects and promotes loyalty among customers. 2. Physical Location: Effectively utilize promotions to drive customers through your doors. Promotion can be used to create awareness of your location and increase visibility, which helps your business grow locally. 3. Advertising: Speaking to customers about product or service requires the right mix of traditional advertising, and also the ability to track the effectiveness of your campaign. 4. Online Presence: More than just offering a website, build a strong online presence includes optimizing your website for search engines and smart phones, as well as reaching your target customers through relevant paid search and online advertising. 5. Reputation and Community: Through social gatherings, blogs, sponsorships or memberships, you can manage your company’s reputation and interaction with your online and local communities. They even offer a free assessment for you to take to see where your business ranks! What are you waiting for? Begin your analysis today! But all kidding aside, check out the new section of my blog called Working Mom 101. I hope all you working mommas out there will enjoy it.